Mumbai is an attractive real estate destination. There are several localities in this city that serve as highly profitable places, for example Bhandup, Vikroli, Kanjurmarg and Thane. Undergoing glorious transformation in the recent years, these areas have emerged as potential areas for investment that shall yield high returns. There are a few other areas which were initially considered purely as industrial corridors but have gradually emerged as excellent residential complexes. There are many group housing projects coming up in these areas that are marked by great living standards, superior construction quality, best-in-class facilities and enhanced connectivity. For example, Bhandup is an ideal place for having your first or second home. There are a few other localities like Borivali and Thane which are over-priced & out of the reach of a common investor. These properties come at premium price tags which don’t seem to be an affordable purchase for middle-class people. 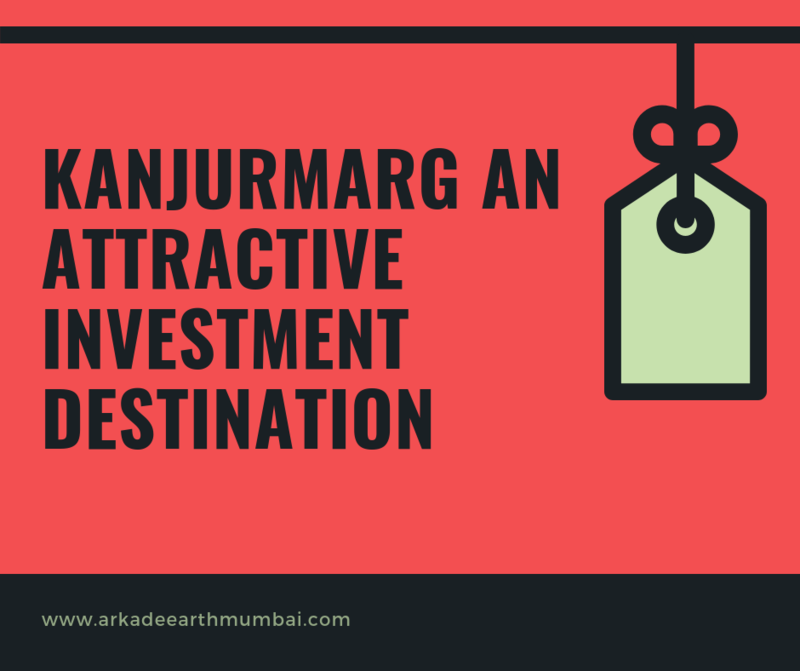 Thus, in such a case, Kanjurmarg makes a viable investment destination. Located close to Thane, it has properties which do not put a load on your wallets. There are several leading projects coming up in this area that make an ideal investment option due to the tremendous realty growth and development happening in the adjoining areas. Housing best-in-class markets, malls and other social & leisure options, the future of this area is very bright. Being one of the busiest railway stations of Central Railway, connectivity was never an issue with Kanjurmarg and most of the local trains have a stoppage here. The nearest biggest station is Thane where most of the tough and local trains make a stop. 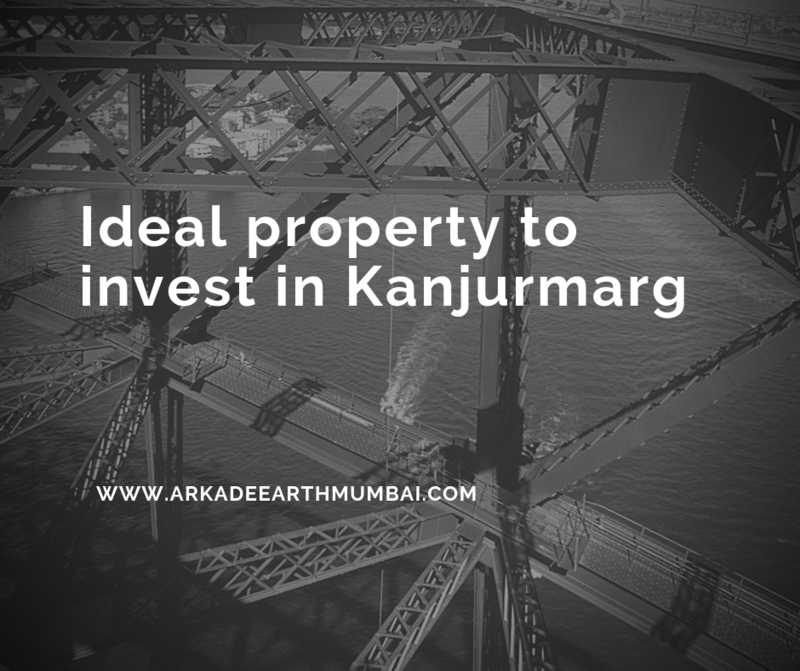 The property Arkade Earth Kajurmarg is a latest residential development launched by the developer that aims to offer perfectly created spaces promising a modern lifestyle. Extended across 4 acres of gorgeous land area its comprises of 1, 2 and 3 BHK luxury apartments that cover areas from 447 sq. ft. 1052 sq. ft. Adorned with best-in-class interiors, the magnificent residents are exclusively designed and developed for the discerning few who would settle for nothing but the best. The homes are spacious and contain high-end fittings & fixtures, superior quality flooring, designer kitchens, perfectly located electrical switches & plush windows that offer lovely views of the surroundings. In the exteriors there is an array of fantastic amenities that let you stay fit & active and spend some quality time with your loved ones. The wide landscaped gardens and sprawling greens exude a kind of positivity ensuring the health & well-being of all the dwellers. Comfortably stationed at Kanjurmarg East, Central Mumbai, the property is close to everything important. All in all, exclusively priced, the property with its plenty of top-class features and specifications is once-in-a-lifetime real estate opportunity.